It Pays to be a Qualification Ninja when you Sell Your Own Home. Qualification. Ooooh. That sounds hard? It’s not really – a teaspoon of cement and razor-like focus is all that is needed. If you want to sell your own property quickly, and for the best price, I can teach anyone how to qualify like a ninja, and boy its fun. When it comes to private house sales, owners (sellers) can be a little reluctant, or even a bit lazy, when it comes to this vital component of the sale process. To put it as simply as possible, qualification is purely you, having a conversation with a potential buyer, where you ask a few unobtrusive and subtle questions to uncover whether they CAN actually buy your home or property. But why is qualification so important? 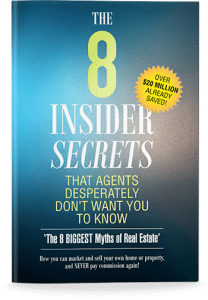 It prevents you getting your hopes up, only to be let down because a prospective buyer didn’t share that there were potential barriers for them to close out the deal. And in today’s property environment you can’t ignore its importance. Albeit a temporary situation, lending institutions have made borrowing criteria more stringent for would be borrowers: first home buyers, upsizers and the most affected group – investors. Why? The Royal Commission into banking has shone a spotlight on some loose lending practices by banks and this has sent CEO’s and CFO’s scurrying back to their HQ’s to tell their credit departments to scrutinise all loan applications with a bigger scrute until the smoke clears. Please note the above. Do you really think the banks will become the Financial Industry equivalent of Little Red Riding Hood? Pfft. So, this temporary tightening of the availability of money to would-be home purchasers makes it all the more critical for private home sellers to ask the right questions to ensure an interested buyer is actually capable of seeing a deal through to finality. Have they got any bloody money? Have they got M . A . N. ? And we know the BIGGIE is MONEY! Qualifying by using the MAN process is the most subtly powerful method I know to find out if a buyer is really a buyer. I share this with all my clients who have access to my exclusive Agent in a Box ‘Tool Box’ and it has paid off in spades for many of them. The key to being a qualification ninja is simply to ask the right questions. By not doing so, the risk of heart ache down the track becomes very real and may have you contemplating Hara Kiri (or hopefully just an extra wine to numb any pain). Previous Previous post: Can You Sell Your Own Home Using The Art of The Headline? Next Next post: What price will I get when I sell my house?